September 6th in Social Media, Wordpress Plugins by Wordpress Jedi . In the past couple of years, we have covered plenty of social plugins for WordPress. I am talking about scripts you can add to your website to make it more Twitter/Facebook/Pinterest/Google+ friendly. The WordPress Social Share plugin is another cool script you can take advantage of to make your site social media friendly. This plugin is quite unique with the way it works. It sits in one side of your screen and opens up when your visitors are ready to share a story. WordPress Social Share provides support for Twitter, Facebook, Google+, LinkedIn, and other top social networks. You can set different button positions and backgrounds easily. What’s nice is you can autoload the script after a certain number of milliseconds have passed. Don’t want to show the share button? No problem. 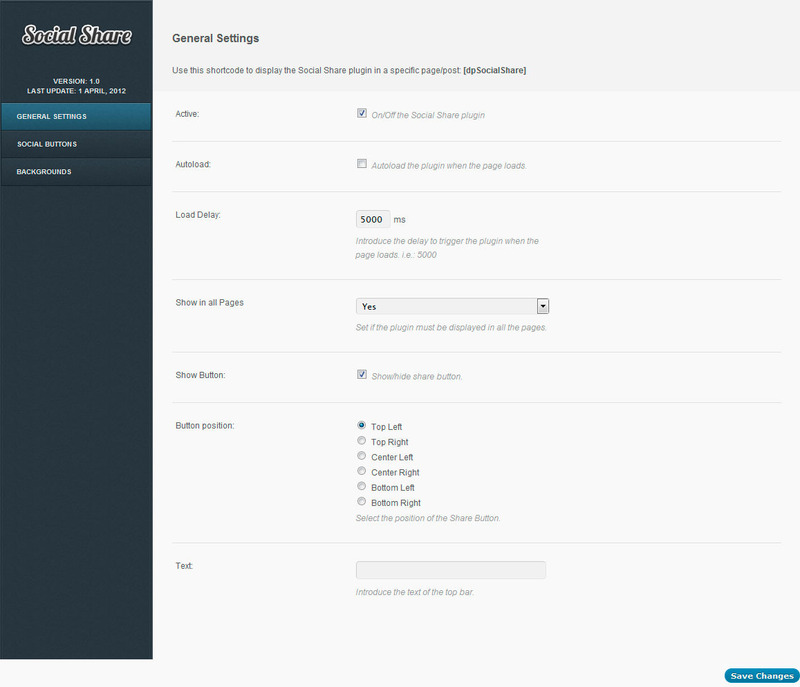 WordPress Social Share is pretty elegant and has easily customizable settings. The performance could be a tad bit better though. Still, it is worth trying if you are not having a whole lot of success with regular social media buttons plugins.